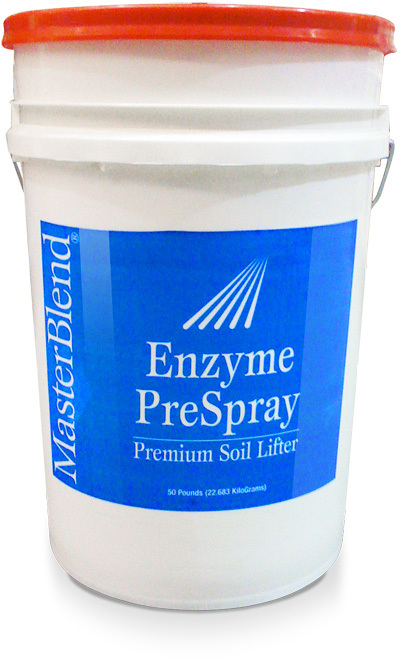 A superior powdered citrus enzyme prespray for hard to remove protein soil and grease. Extreme Clean is the maximum concentrate ultimate cleaner for extremely soiled carpets. Bennett Direct Fabriclean Upholstery soil conditioner is specially formulated to be effective in removing soils from the wider range of fibres and fabrics used in upholstery and drapery. It can be used on natural and synthetic fibres. Fiberlock IAQ 6000 is a white durable, flexible, and permeable 100% acrylic water based coating. 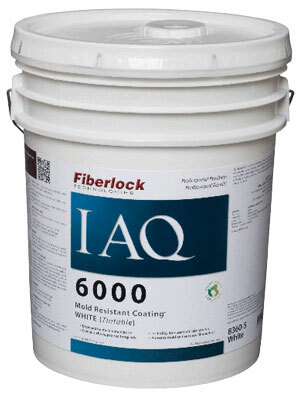 Fiberlock IAQ 6000 contains a fungistatic agent to resist mold growth on the dry coating surface.. IAQ 6000 is recommended for use on plaster, wallboard, gyprock, concrete, masonry block, wood, primed metal and galvanized metal. It was developed to withstand moist, humid conditions that are ideal for mold growth. Fiberlock IAQ 6100 is a clear durable, flexible, and permeable 100% acrylic water based coating. 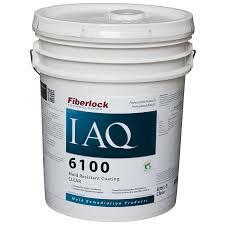 Fiberlock IAQ 6100 contains a fungistatic agent to resist mold growth on the dry coating surface.. IAQ 6100 is recommended for use on plaster, wallboard, gyprock, concrete, masonry block, wood, primed metal and galvanized metal. It was developed to withstand moist, humid conditions that are ideal for mold growth. IAQ 8000 is a high performance coating for use in duct work. This high-build coating is designed to bridge and reinforce duct liner or duct board insulation materials. IAQ 8000 can also be used to seal unlined duct work prior to component removal, preventing fiberglass and inanimate particulate from becoming airborne. IAQ 8000 dries to form a durable, flexible, moisture-resistant protective coating with a semi-gloss finish that minimizes inanimate particulate buildup on the coating surface. RECON Extreme Duty Odor Counteractant is a highly concentrated liquid odor counteractant formulated specifically for the treatment of surfaces after fire, water or smoke damage. This product chemically neutralizes the source of malodors and imparts a pleasant, long- lasting fragrance. The powerful multi-purpose odor counteractant removes malodors caused by tobacco, smoke, urine, mildew, vomit, body waste, pets, garbage, fire-produced odors, food spills and cooking odors. RECON Heavy Duty Cleaner is a very powerful, water soluble, cleaner/degreaser. Due to its chemical potency, this product is extremely effective in the removal of heavy accumulations of grease, oil, fats, carbon, ink, wax, dirt and soot, tar and asphalt, creosote, rust stains and many soils. It also contains HydroSolv 2000 technology, a fast acting powerful solubilizing agent that dissolves and suspends any soil, allowing it to be wiped or rinsed away completely. RECON Smoke Odor Sealer is your final step to encapsulate residual odors typically found on fire damage restoration projects. It is a revolutionary solvent free smoke odor sealant and stain blocker designed to encapsulate malodors on multiple surfaces and block tough staining. 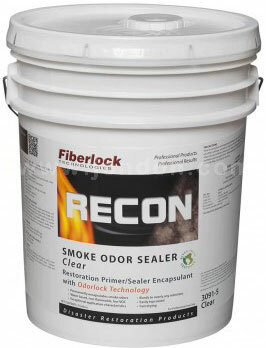 RECON Smoke Odor Sealer with OdorLock technology is water based, low VOC, low odor and is not flammable.